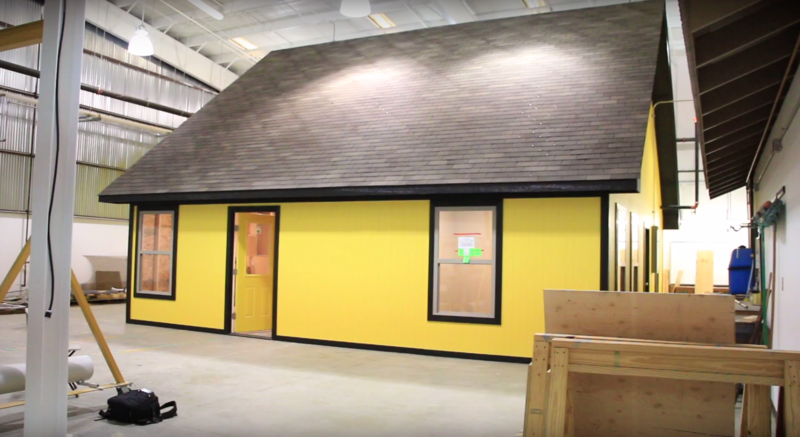 TJC’s West Campus recently installed a house simulator within their Skills Training Center. The house simulator provides hands-on experience to students in the heating, ventilation and air-conditioning (HVAC) programs. The house functions exactly like a real house in order for the students to see the results of their work. Early in the year, the HVAC Center requested funding for the house simulator. They received the contract to have the house built by Campbell Building Co. over the summer. A manual J is what HVAC contractors use to calculate the loads of a home or building and determine the amount or type of equipment needed. This tedious process allows students a deeper understanding of the way ventilation and refrigeration systems work. Mold can grow if these types of pre-assessments are not done correctly. The current students plan on installing the ventilation and air condition system of the house to 100 percent throughout the rest of the year. Before new students are enrolled, the house will be reset for another round of ventilation work. This process will continue for all students in the hands-on HVAC programs. “This is going to be a great benefit to us because then we get the hands-on with the technical experience,” said Tim Bolton, a student in the HVAC program. Stiles said that he is excited to have this opportunity now available for all the the students. The simulator will advance the experience and knowledge for all students at West Campus. This is such a cool tool to have! There is nothing better than hands-on learning. I am glad that TJC is able to provide such great resources to its students.